If you need help and advise with regard to leases, schedules of condition or any other matters please call 0800 298 5424. Please note we are independent Chartered Surveyors. One of the most important moves for a business is when it moves into a property, be it a home business that has developed to such a stage that you require an office, or opening an independent shop on the High Street that you have always wanted to, or running the dream public house or restaurant, or be it a manufacturing business that requires industrial space to operate within, or a distribution centre. All of these businesses at some point or other will look at property. There are two choices with property; freehold or leasehold. A newish business may not have the credit to buy freehold and therefore considers a leasehold option. An older business may not wish to tie up capital within a property and feels that it can make far more money by having a leasehold property. Either way a business owner comes to take on his first leasehold and become a leaseholder or tenant. First comes the search for a suitable property. Chatting to business owners over the years it is very rarely the perfect property at the right time. Compromises are made on the property, be it location, size, configuration, rent being paid under the lease, etc. However, the last two are negotiable (rent paid and the lease), to some extent such things as the location and configuration of the building are set in stone or brick (if you excuse the pun). It cannot be emphasised how important it is to make sure the lease you get is the lease you want, so seek specialist expert advice on the lease from both a specialist solicitor and specialist Chartered Surveyor. Is a leasehold or freehold the right property for you? There are many ways to search for the right property for you from commercial agents (also known as letting agents) to business transfer agencies (known as BTAs) who usually sell the business and the lease to literally driving around in the area that you want to have your property, or good old fashioned word of mouth and networking and we have even known some companies to mail shot the area where they would like a property. Probably the most common way of finding a property is using a commercial surveyor, commercial agent or letting agent (more or less the same under different names). If you spend some time looking for a property commercial agents almost become your friend in helping to understand and identify your needs and find you a property, but be aware that they are working for the seller of the property and not you (unless you are a retained client, in which case they are hunting down the property for you and you are paying a fee for this). When finding the right property for you, with all the various compromises that are acceptable is offered by the commercial surveyor or agent, that has become almost like your friend over the months/years, that you have been looking, it is very tempting to accept the property there and then and many a rash decision at this stage has been regretted for years to come, and we mean years to come. What length of lease should I go for? While leases are no longer as long as they once were, 21 years, 25 years, 30 years, 99 years, more typically being 3, 5, 10 or 12 years. This probably affects the way markets change so much quicker these days but it should be remembered that the length of the lease is usually negotiable and it can be reduced by adding a break clause. We know of one lease that actual has two break clauses and we are sure that there must be a lease with break clauses of more than two out there (if you have one or know of one please phone us and talk about it, we would like to know more). To some extent most leases are renewable, assuming the landlord isn't redeveloping or something similar and, of course, why wouldn't a landlord want to renew a lease. What does a solicitor do when I buy my commercial lease? Whilst we are not solicitors we would summarise that a solicitor gives you the legal advice on the lease purchase in process, which differs from business advice and property advice. The solicitor will have expected you to do your due diligence and to understand what does and doesn't work for you and this will include getting property advice. Very often they will recommend that you have a chartered surveyor/commercial surveyor advise you, or they will have expected you to have sorted this out yourself, either way, the solicitors give legal advice. Generally they err on the cautious side as they are well aware of the increasing sue able culture of people in general. They will usually offer you a heads of term summary on the lease advising what clauses they think should be negotiated upon. They will also interpret ye olde worlde English language and the solicitor speak, although equally we have seen this interpreted in such a manner that it will still difficult to understand! (Again this is a personal view and your solicitor may be different). What the solicitor won't do is visit the property (or very rarely) so that he can read the lease in relation to it (or in all the cases that we have dealt with this doesn't happen), what he will be doing is looking at a standard lease that has been written and amended by another solicitor that, again, is unlikely to have visited the property and in turn he will be looking for legal errors, legal traps etc, to protect you against. Most solicitors these days will recommend a schedule of condition, which will be produced by your own chartered surveyor. We really just wanted to reiterate the heading of this. Please remember that solicitors are giving you legal advice, not business advice and it is up to you to make the business decision. 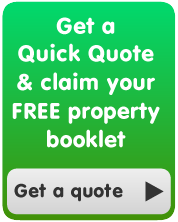 So do I need a Chartered Surveyor? Simply, when buying the leasehold (or the freehold) on a commercial property we feel it is best to get advice on it from someone that has done this before and understands property and that will be a commercial chartered surveyor. What does a commercial Chartered Surveyor do? A commercial surveyor will have a working knowledge of leases and so understanding of the laws relating to them (at least a commercial surveyor specialising in this area will have. You need to use your due diligence to ensure that you have a commercial surveyor and is used to dealing with this sort of thing). At the start of a lease you may employ your own Chartered Surveyor/commercial surveyor to investigate what is on the market to give you an opinion of what the open market rent is on the property that you are looking to purchase (this can be completely different to the market value the commercial agent has the property on the market for!). However, when most businessmen/potential leaseholders first meet a chartered surveyor is when their solicitor recommends they have one look at the property and carry out a structural survey. A structural survey on a commercial property which is leasehold entails the surveyor looking at the whole property to establish if there any inherent defects and if there are they will advise on the action required to correct and any anticipated costs. Please see example of commercial survey attached. Alternatively what they may do is carry out a schedule of condition. This is a record of what the property looks like at the start of your lease. This then should be agreed with the landlord and appended to the lease to ensure that in years to come when you move on from the property any dilapidations notice that is served upon you can be negotiated upon utilising the schedule of condition as the original record of the condition the property was in. We would just add it is surprising how many tenants wish they'd had a schedule of condition carried out from day one. Another alternative is to have both of the above carried out; a structural survey and the schedule of condition. We always advise that this allows you to buy the leasehold on the property with your eyes wide open from day one and the schedule of condition offers you the best way to exit the lease at your chosen time. How much is the property worth for market rental? The businessman taking on his first leasehold property when he starts out may not know the typical rent for it. Very soon, as they look around the properties available they start to get a feel for what the market rent is, or to be more exact, they get a feel of what the market rental is of the properties shown on a commercial agent's website, not the market rents that are actually paid. Let us reiterate this. The rent on the property that is on the commercial agents website or in the window is not necessarily the market rent, but the market rent is the rent from the area that is typically being paid. The landlord may have aspirations for a far higher rent. A Chartered Surveyor with specialist knowledge in this area should be able to advise you. The market value of a property is a combination of the market rent and year's purchase value, which is a multiplier also known as an all risk yield, which when the market rate is multiplied by it gets the value of the property. The skill is knowing what figure, or multiple, should be used against the market rent, as well, of course, as establishing what the market rent is. This is carried out by specialist surveyors, usually appointed by the mortgage lender, to establish what the value that you as the business owner and tenant have put on the property and that which has been shown by the commercial agent truly reflects what the typical person in this market would pay. The Royal Institution of Chartered Surveyors defines different requirements for different markets within the “red book”, which are guidance notes if you need help.